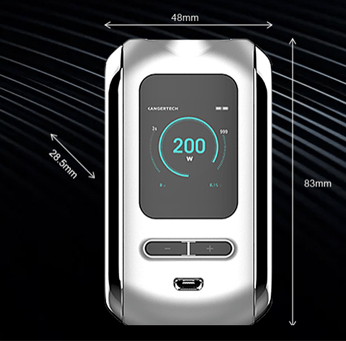 Today we take you to the Chinese giant Kangertech in order to present you an electronic box: 200W TC Ranger. Want to know more ? Well, let's go for a complete presentation of the beast. RANGER 200W TC: SIMPLE, PRACTICAL AND POWERFUL! For some time now Kangertech seems to have a hard time imposing his skills as he used to do a few years ago. Today, the Chinese giant launches the Ranger 200W TC, a new box that will not surprise anyone but that could please an audience looking for simplicity. Rectangular format and fully designed zinc alloy and aluminum, the 200W TC Ranger is a compact electronic box and rather ergonomic that could make us think of a smartphone. Aesthetically successful, the 200W TC Ranger however does not leave the beaten track and is presented as a pleasant and futuristic model but not innovative. On the main facade of the box there will be an oled screen, two dimmer buttons and a micro-usb socket for reloading and updating the firmware. The switch will be found on the side of the box offering the passage a better grip. 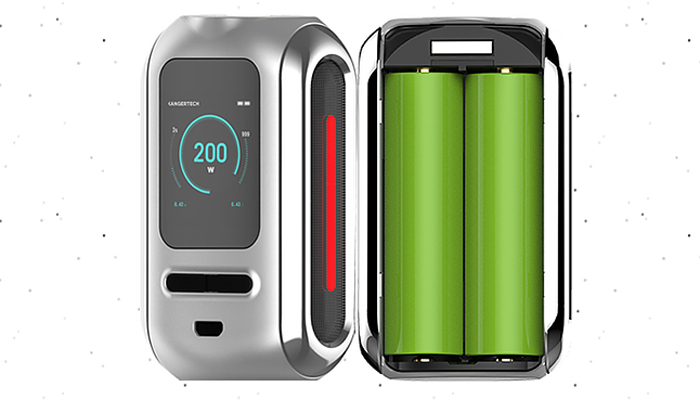 Operating with two 18650 batteries, the Ranger box will be able to reach a maximum power of 200 watts. There will obviously be many modes of use including variable power, temperature control (Ni200 / Ti / SS316L) and TCR (M1, M2). If you opt for the complete kit, the 200W TC Ranger box will come with a Ranger Clearomizer. With a diameter of 26 mm it has a tank with a capacity of 3,8 ml that will fill at the top simply by sliding the top cap. Its air-flow is adjustable thanks to the adjustable ring located on the lower part of the atomizer. On the operation side, the Ranger clearomizer will use Milli Mesh resistors with a value of 0,15 ohm and Milli Coil with a value of 0,4 ohm. Almost completely protected, Kanger defined its clearomizer as being "unbreakable". 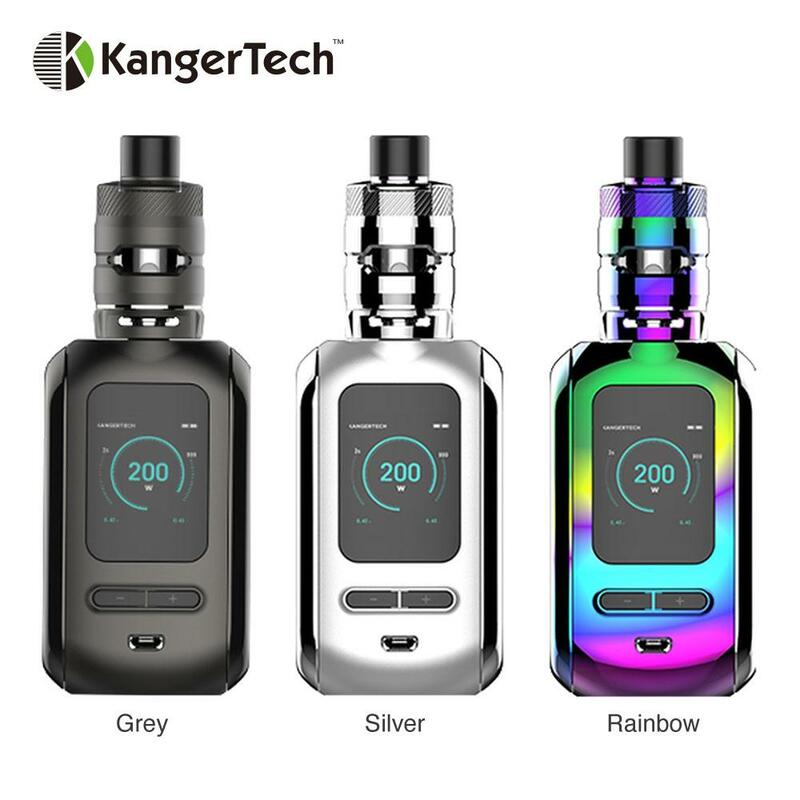 The new box 200W TC Ranger by Kangertech is now available for 70 Euros approximately in kit with the Ranger clearomizer. Following : VAP'NEWS: The e-cigarette news of Thursday 7 Mars 2019.